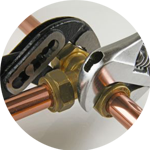 Plumbing in Mayfair has been expertly taken care of by the Handy Squad since 2005. 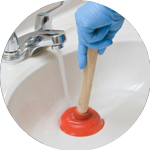 In that time, we have managed to complete a wide selection of both simple and arduous plumbing issues, making sure we take a customer-centric approach with every single task. 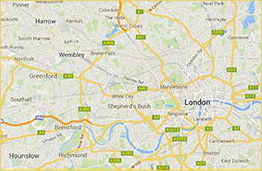 Whether you need assistance in domestic or commercial buildings, our team of exceptional plumbers will arrive promptly on their signature yellow scooters and vans, ready to deliver the best London Plumbing Service around. 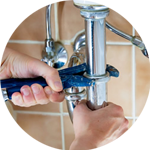 Your Plumber in Mayfair will be able to provide assistance with a number of plumbing tasks. They will be able to handle technical plumbing issues such as leaking taps and sink waste disposal, as well as more general issues like installations and repairs. Mayfair is an affluent area in the West end of London. The district is one of the most expensive to live in the capital and the world. Mayfair’s prestige has been commemorated by being the most valuable square on the London Monopoly board. 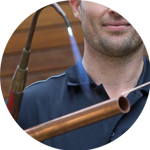 There is a multitude of exceptional trade services on offer at the Handy Squad. We also have a Handyman in Mayfair, who will be able to help with a variety of DIY tasks. Their impressive set of skills includes flat pack furniture assembly and kitchen tiling. If you feel apprehensive about the nature of certain issues around the home or workplace, your London Handyman will be able to offer assistance with their odd jobs service. This means any task, no matter how strange or peculiar can be promptly dealt with. Electrical issues can also be handled by the Handy Squad. We have a team of fully-trained Electricians in Mayfair, ready to provide assistance with both simple and technical electrical jobs. Having professional people take care of electrical issues is of paramount importance, which is why our team is made of only experienced and reliable Electricians in London.